Sometimes, the only thing that helps ease the pain is diving right back into it. Say what you will about popular media, but the genuine emotions these stories evoke — as well as the real connections people form with fictional characters — say a lot about how empathetic the human race really is. You know, deep down, that your favorite character sprang from the mind of some writer, but you still erupted in tears when that same writer made your imaginary buddy stumble, fall, slip into a black hole, or get stabbed in the neck by their evil clone. The pain is real. Unfortunately, great death scenes do make for great storytelling. If there's one thing George R.R. Martin taught the world, it's that nothing ups the stakes like a heartbreaking murder every couple minutes. So if you're feeling inclined to relive the sadness of losing all those beloved superheroes, dinosaurs, and space pirates … well, get a tissue box ready, because the waterworks are coming. Here are some of the saddest death scenes in film. …until suddenly, everything goes haywire. 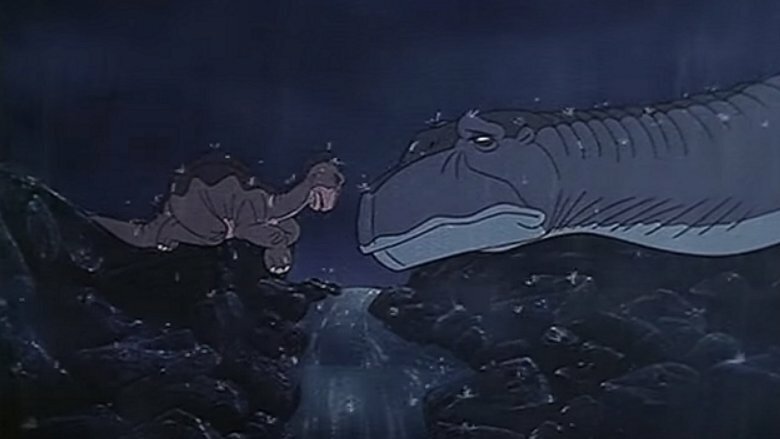 First a Sharptooth storms in, then an earthquake wrecks the place, and Littlefoot is left stranded. As rain and thunder pour down, the sad little dinosaur wanders alone through the blighted landscape, desperately crying out for his mom. When he finds her, she's already half-dead. He pleads for her to get up, and when she says "I'm not sure I can," even the parents in the audience are probably wiping their eyes. In the original Star Wars trilogy, Han Solo undergoes a classic heroic transformation. When you first meet him, he's a callous rogue who pushes others away, and only cares about cash, but by the time Return of the Jedi rolls around, he's found redemption, purpose, and the love of his life. It's a nice, tidy ending, which is what made Han's actual fate in Star Wars: The Force Awakens is so grueling: apparently, even in a galaxy so far, far away, happy endings are never quite so easy. While fans spent 30 years imagining that Han and Leia lived happily ever after, it turns out that their bouncing little boy became the next Darth Vader, their marriage hit the rocks, and Han went back to smuggling. By the time the older Han finally makes his appearance, his famous wisecracks are now tinged with a sense of loss. What makes Han's death the saddest scene in Star Wars history, though, is that he dies simply for trying to do right by his son. Even though the younger Han would've hit the road, and the older Han knows Kylo Ren will probably kill him, the famously scruffy nerf herder can't help but make one final effort to redeem the kid he raised. 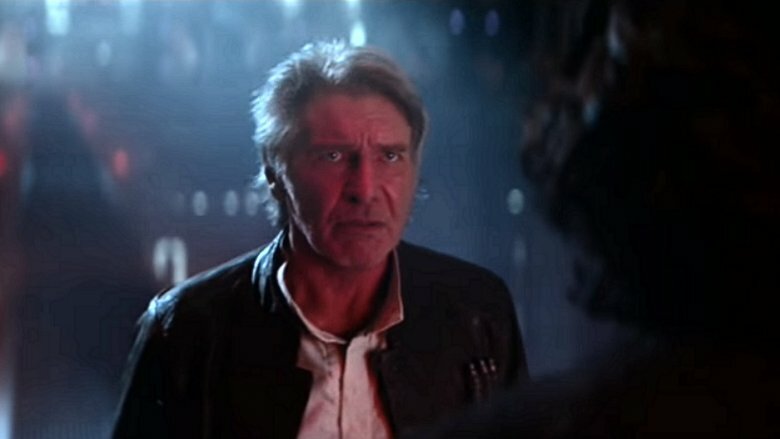 From the first moment Han approaches Kylo, every fan in the universe knows he's about to get his Obi-Wan moment, but that only makes the eventual lightsaber stab even harder to watch. Breaking Bad was packed full of dark, grisly, and uncomfortable moments, but the one that everyone still winces over is the scene where Jesse's girlfriend Jane Margolis (Krysten Ritter) chokes on her own vomit, and Walt does nothing. Walt definitely cares for Jesse at different points throughout the show, but he dislikes Jane and didn't want her to expose him. His conscious decision to allow Jane to die, as the audience watches, might be the moment where Walt truly "broke bad" in the most awful way. From that point on, there was no going back. Disturbing as this was, it's even worse when Jesse's later girlfriend Andrea is shot by Todd in the show's penultimate episode. While Jane and Jesse were largely terrible for each other, Andrea is just a single mother trying to give her son, Brock, a better life, and she's only murdered because Jesse refuses to cook meth for Todd's sociopathic gang of neo Nazis. Todd even says that it "isn't personal" when he casually shoots her in the back of the head, while Jesse watches, leaving Brock an orphan. The sequence is brief, horrible, and impossible to forget, particularly for Ian Posada, the young actor who played Brock, who reportedly teared up when he was shown the scene, according to The Hollywood Reporter. 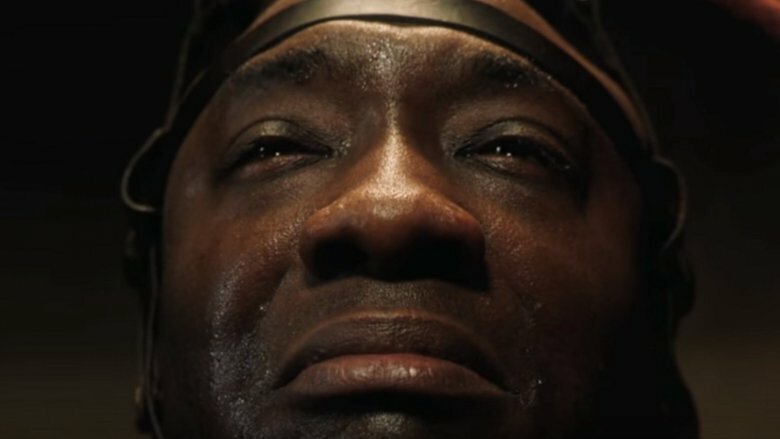 The late Michael Clarke Duncan was always a phenomenal actor, but the one movie that everyone will always remember him by is the screen adaptation of Stephen King's The Green Mile, in which he plays John Coffey, a wrongfully accused Death Row inmate with supernatural abilities. The film is filled with tons of tear-jerker moments, as Coffey's kindness, honesty, and compassion for others is shown in sharp contrast to the horrible treatment he receives from society. Nothing compares, though, to the intensely heart-wrenching scene at the end of the film where Coffey is finally executed in the electric chair. The characters are crying just as much as the audience, and the little touches — such as Coffey asking not to have the black hood put over his face, since he's afraid of the dark, or the close-up of Coffey and Paul Edgecomb (Tom Hanks) squeezing hands — leave a lasting impression. 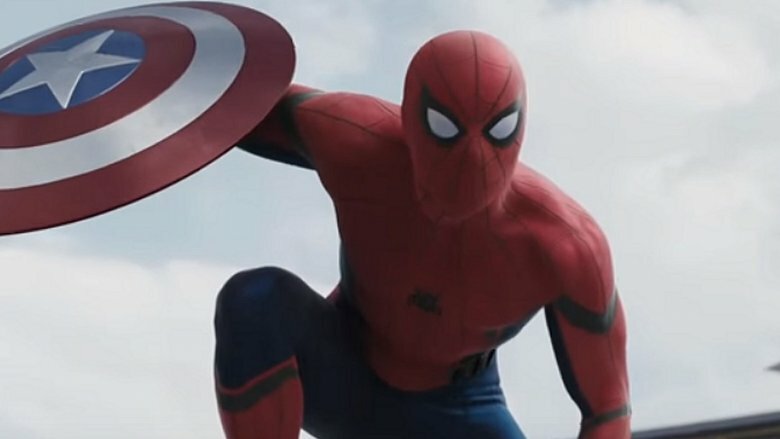 When Stan Lee and Steve Ditko created Spider-Man in 1962, they also created the best origin story in superhero history. While many other heroes are driven by such macho causes as revenge, justice, or patriotism, Peter Parker is just an average, selfish teenage kid preoccupied with girls and popularity, until his big ego results in his father figure getting killed. Basically, while the genetically altered spider bite gives Peter strength and confidence (a la the hormonal changes resulting from puberty), it's the weight of his own mistakes that forces him to grow up and take responsibility. If you ever wanted to teach a kid about why adulthood is so rough, Spider-Man's story is the most potent allegory ever. What's amazing about Sam Raimi's 2002 Spider-Man, though, it that it somehow made the best origin even better. All the key elements are the same: Uncle Ben gives his speech, Peter lets a criminal get away, you know the drill. But Raimi's film made one slight alteration that cranked up the tears, by inserting a scene where Peter has to watch Uncle Ben die, right before his eyes, surrounded by onlookers. 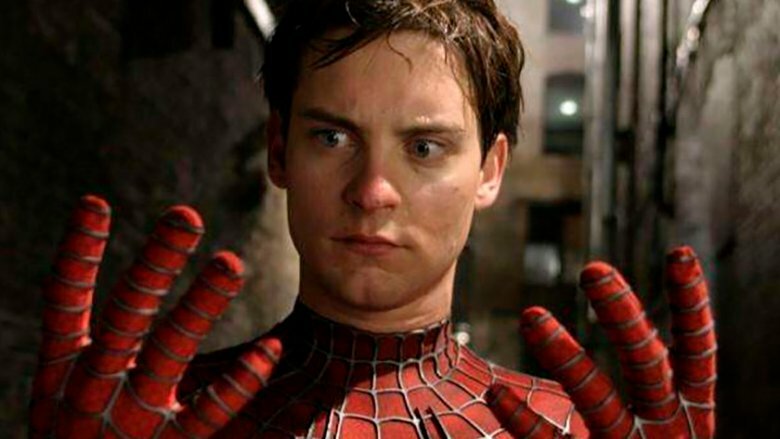 The entire movie relies on this scene working, and luckily, Cliff Robertson and Tobey Maguire knock it out of the park. If there's one big reason the Marvel Cinematic Universe hasn't shown Uncle Ben's death yet, perhaps it's because this scene already nailed it. Back in its heyday, Futurama was famous for having some tear-jerkers, but everyone generally agrees that no animated series in history has produced a throat lump the size of "Jurassic Bark," which has been called the "show's saddest episode." If remembering episode titles from the early 2000s isn't your thing, then you know this episode as the one with the dog. Yes, that one. Grab your tissue. 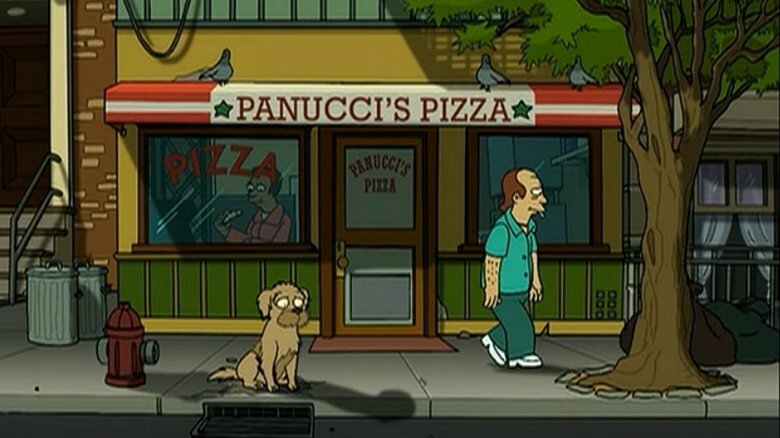 Most of "Jurassic Bark" chronicles the efforts of Fry, a 20th-century pizza delivery dude who wakes up in the future after a cryogenic freezing mishap, as he attempts to clone his beloved pup from the past, Seymour. In the end, Fry ditches the project after he finds out that Seymour lived for another 12 years after Fry disappeared, presumably finding a new life, and forgetting all about him. But then, the episode flashes back to the year 2000, and shows the opposite was true: Seymour is shown waiting at the door for Fry, day after day, year after year, expecting his eventual return … until one day, he lies down and softly closes his eyes. At this point, it seems like more Game of Thrones characters are dead than alive, and that's not even counting the whole army of corpses marching down Westeros. While there's still another season primed to break everybody's heart, the loss that currently hurts the most is Hodor, the lovable strongman who protected Bran with his dying breath, even though his tragic situation in life was … well, Bran's fault. Time travel is crazy, eh? 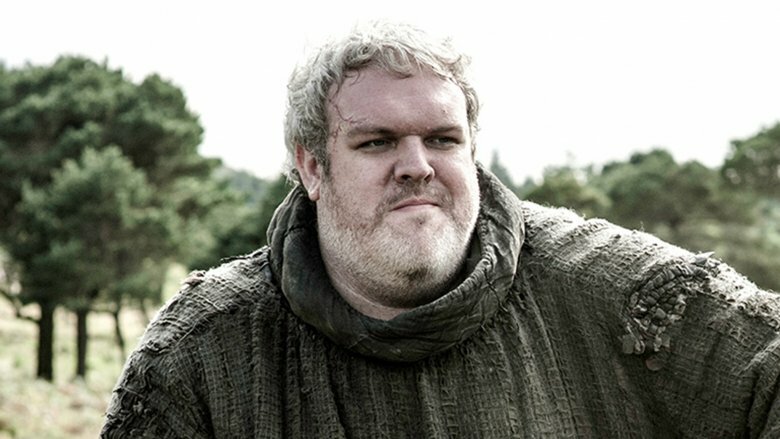 Though Hodor spent the show's run as a humorous oaf who just said the same "gibberish" word over and over, his death scene completely redefined the character forever, revealing that "Hodor" actually meant "hold the door," and that he'd known this whole time that he'd someday have to sacrifice his life doing just that, as a horde of White Walkers tore him to shreds. Twitter (and presumably the actual world) erupted in sadness following Hodor's death. The whole thing only gets more depressing when you rewatch the first season: The first words ever spoken to Hodor are "help Bran down the hall." Poor guy. Black Panther was perhaps the cinematic event of 2018, and a huge part of that success was due to the film's antagonist, Erik Killmonger, as played by Michael B. Jordan. Whether Killmonger is unforgivably torching Wakandan traditions, sending out mass shipments of weaponry, or simply crying at the loss of his father, he's always riveting, impossible to look away from, and deeply sympathetic. Killmonger is more than just a great character, though, because as The Atlantic points out, his story also symbolizes "the void" permanently imposed on African culture by the Trans-Atlantic slave trade. These deeper themes are exactly what makes his death scene so powerful. 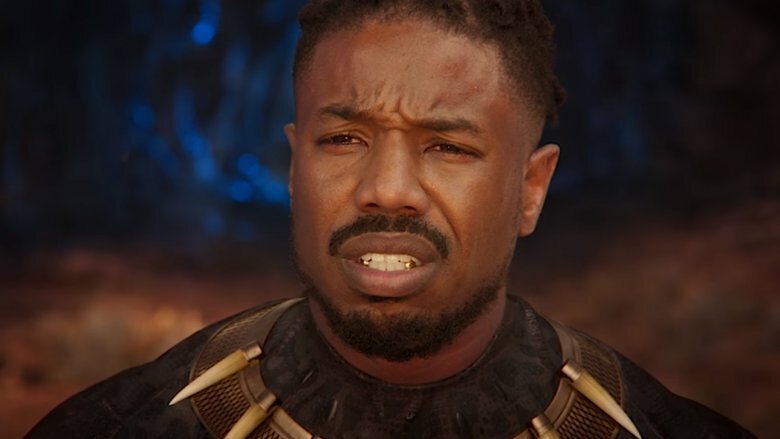 After being mortally wounded by the film's hero, T'Challa, Killmonger mentions that his Wakandan father always praised the natural beauty of his homeland. Out of compassion, T'Challa then brings his wounded opponent back up the mountain, so they can watch the sunset together, and offers to use Wakanda's advanced medical technology to heal him. Killmonger refuses to be saved. Instead, he asks to be buried at sea, in memory of his ancestors who jumped from the slave ships on the way to America, believing death was better than imprisonment. While Black Panther had a lot of moments that will go down in pop culture history, this was one of the biggest. Oh, Barb, the world hardly knew ye. 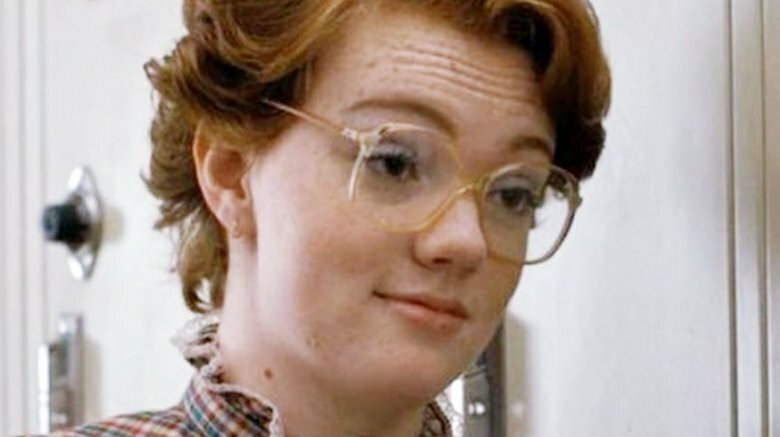 Despite the fact that Barb only made it through a few episodes of Stranger Things before being shredded to pieces by the Demogorgon, this minor character spawned a huge collection of fans, memes, gifs, and articles called the "cult of Barb" by Salon. What it comes down to, really, is that Shannon Purser's character is just so intensely relatable. While most people haven't hung out at the pool while an otherworldly monster storms out of the woods and drags them into a dark dimension, many people can empathize with the feeling of being left out, or trying to do the right thing while their flaky friend just gets laid in the other room. Barb's death scene is perhaps the ultimate example of what it feels like being the so-called "third wheel," and that's probably why so many Stranger Things fans still miss her to this day. Leave it to Disney to fill every theater with the screaming tears of '90s kids all over the globe. When people wax nostalgic about The Lion King, the first thing they remember is probably the sheer adrenaline and power of that opening "Circle of Life" sequence. 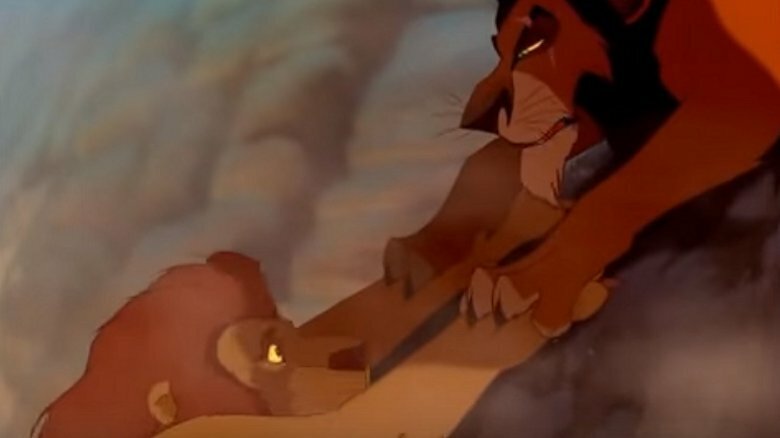 The second thing, though, is the insanely traumatic death of Mufasa, Simba's father, who desperately claws his way out of a stampede only to get thrown back into it by his own brother, Scar. These days, this sequence is so imprinted on society's collective memory that some have called it the most iconic death in film history, but that familiarity doesn't take away from the Shakespearean brutality of the whole thing. Simba's entire life is ripped to pieces (by his own uncle), his legacy is stolen from him, and he even spends a long moment cradling his father's corpse. It's grim. It's real. It sets the stage for everything that comes after. If there's one thing The Lion King proves, it might be that epic tragedy is sometimes the key to successful children's entertainment. At the beginning of the 2004 relaunch of Battlestar Galactica, Anastasia "Dee" Dualla was one of the show's beacons of hope. Youthful, optimistic, and full of life, Dee weathers the many challenges the fleet experiences, eventually finding love with Lee "Apollo" Adama. Even when Dee and Apollo's marriage doesn't work out, she continues being one of the show's brightest characters, as the fleet searches through the universe for their mythical homeworld, "Earth." Things quickly collapse when everyone finds out that Earth is actually a post-apocalyptic wasteland. As the crew tries to recover from this horrible reality, Dee and Apollo go out on a date, and reconnect. It's a sweet, simple moment, leading audiences to believe that maybe now, even after the crew has seemingly lost everything, there's still hope for the future. Then Dee goes back to her locker, smiles in the mirror, savors the moment she shared with Lee … and shoots herself. The scene is so shockingly tragic that actress Kandyse McClure told SyFy that merely reading the script left her floored. If there's one thing that Marvel's Avengers: Infinity War will go down in history for, other than being the most ambitious cinematic crossover ever, it's the fact that at least half of everybody's favorite superheroes get killed by a bad guy snapping his fingers. Some Infinity War deaths may be more permanent than others — Loki? Heimdall? — but every single one of them hurts like crazy. The biggest shock, though, might be that moment on Titan where a certain wall-crawling, web-spinning underdog turns to dust. While everybody else, from Star-Lord to Black Panther, can barely blink before they're wiped out of existence, Spider-Man knows something is coming. He feels his spidey sense tingling, but there's nothing he can do to stop his inevitable erasure. 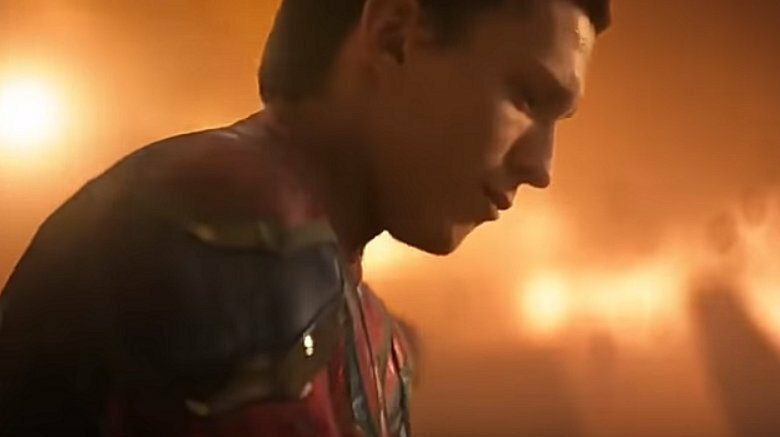 It's heartbreaking to watch Peter desperately cling to life, particularly when he tells Tony Stark, "I don't feel so good," and finally, "I don't want to go," both of which were reportedly improvised by actor Tom Holland, according to Screen Rant. Sure, we all know Peter is coming back. The sequel demands it. But it sure hurt watching him go. Perhaps the saddest moment in the entire film, though, is the tragic fate of Artax, the noble horse. 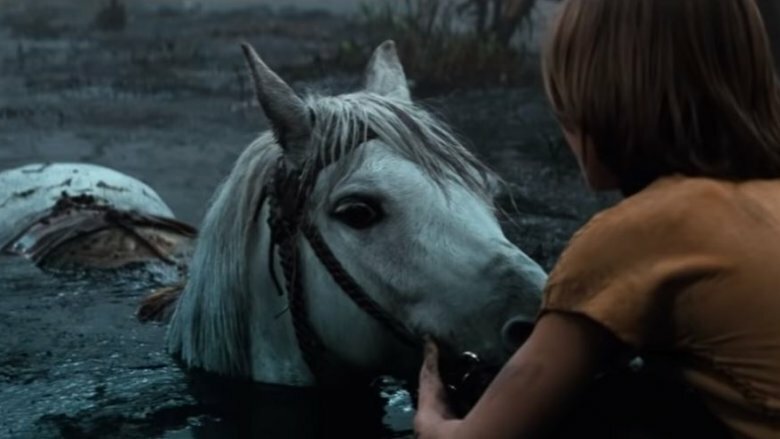 This beautiful animal meets his painful finish when accompanying his young owner, Atreyu, through the Swamp of Sadness. Unfortunately for all involved, the swamp's name is 100 percent literal, as it causes those who wade through it to become immersed in their own depression. That's what happens to poor Artax, and no matter how much Atreyu begs and pleads for his friend not to give up, Artax becomes simply too consumed in his own hopelessness and just waits there, until he drowns in the muck. Yes, this is a children's movie where a horse dies horribly, and yes, the scene is spread out long enough to make sure it punches you in the gut a whole bunch of times. But hey, if this scene still makes you tear up today, you can rest easy knowing that everyone else in your generation was equally traumatized. Hey, for all you in the back who claim that superheroes never really die? Tell that to Groot, the poor talking tree who sacrificed his life to save his friends and the galaxy itself. Back when Guardians of the Galaxy first came out, Groot immediately stood out as the most beloved character of the pack. From his childlike joy at small things to his devoted loyalty to the anti-heroic scoundrels surrounding him, Groot seemed destined to appear in dozens of future MCU flicks … until suddenly, as the Guardians hurtle toward certain doom, the gentle giant makes the decision to wrap his branches around them in a protective barrier and save the day — at the cost of his own life. 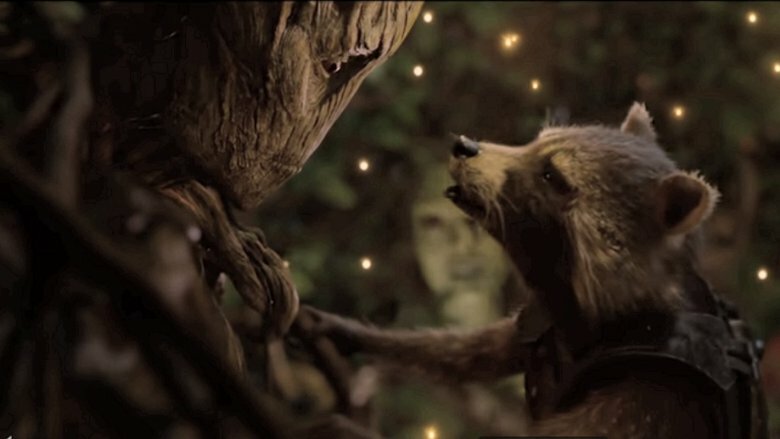 When an uncharacteristically teary-eyed Rocket tells Groot that he's going to die, Groot slightly alters his trademark phrase in the most heartbreaking way possible — "We are Groot" — ensuring that Rocket won't be the only one crying. Sure, the energetic Baby Groot (who has since become a moody Teen Groot) is adorable, but he isn't the original. As Mashable explains, the new Groot is simply Groot's son and possesses none of the original's memories. One can only hope that the other Guardians have taken the time to tell this kid how awesome his old man was. Come on, dog lovers. It's time to get your tissues. Most of Marley & Me chronicles the misadventures of an inexperienced pet-owning couple, played by Owen Wilson and Jennifer Aniston, trying to learn how to take care of an energetic golden retriever named Marley. 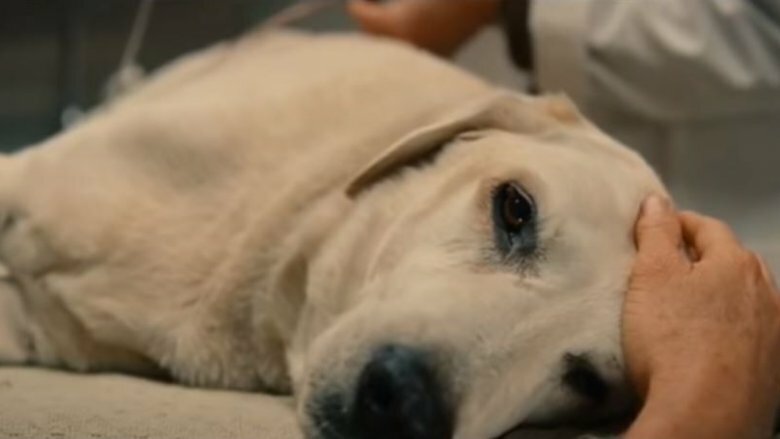 As the movie goes on, of course, they fall in love with the dog, have kids … yeah, you can probably guess the storyline without seeing the movie, but the point where the movie cuts your heart open is at the end, when Marley gets old and tired and develops hip dysplasia. The condition renders the poor old dog unable to go upstairs, run, or do any of the things dogs love doing. Because of this, the owners decide to put Marley to sleep. As you might be aware, Marley & Me is based on the true family stories of writer John Grogan, and according to the Independent, putting Marley down left the real family truly grief-stricken. Sad as it is, dogs just don't live as long as humans. As TV Tropes points out, this is probably the exact reason Marley's death hits so hard because it's an experience that every pet owner, young and old, can eventually relate to. It's only been a little over a decade since Ang Lee's Brokeback Mountain first hit theaters, but it's easy to forget what a cultural event it was or the stereotypes the film shattered on its initial release, according to CNN. A love story between two male cowboys, Brokeback Mountain went on to win awards, accolades, and a domestic gross of over $80 million against a $14 million budget. 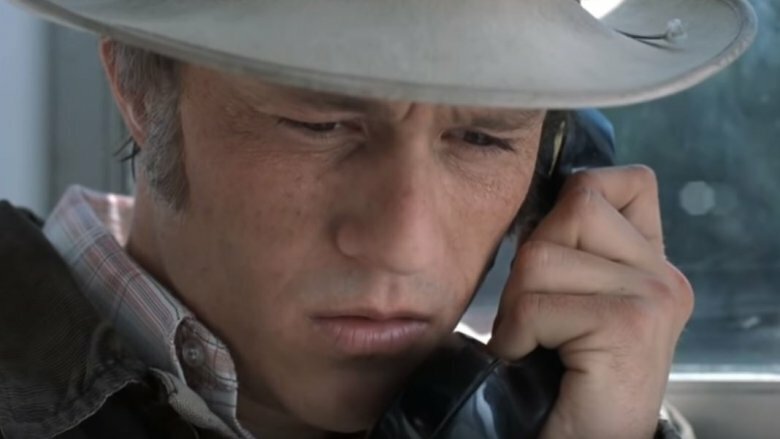 The story of Brokeback Mountain revolves around the relationship between Jack Twist and Ennis Del Mar, played by Jake Gyllenhaal and Heath Ledger, which tragically ends when Ennis discovers through a postcard that his friend and lover has died. When Ennis calls for more information, he is told that Jack was killed when a tire he was changing exploded. The film doesn't spell out that this is a cover story, but it depicts Ennis visualizing Jack's murder — a hate crime, where the man is violently beaten to death with a tire iron — to point out the real-life violence that so many people have faced due to prejudice. The Iron Giant becomes "Superman"
Before Vin Diesel broke everyone's hearts as the voice of that tree-shaped alien in Guardians of the Galaxy, he did so in The Iron Giant, that animated homage to 1950s sci-fi flicks (inspired by a 1968 novel) about a forbidden friendship between an ordinary kid named Hogarth and a giant, friendly alien robot, both of whom enjoy a certain DC Comics character named Superman. The robot, as it happens, was originally sent to Earth as a death machine, resulting in a massive military entanglement in which a nuclear missile ends up getting shot into the sky, aimed to destroy Hogarth's small town. 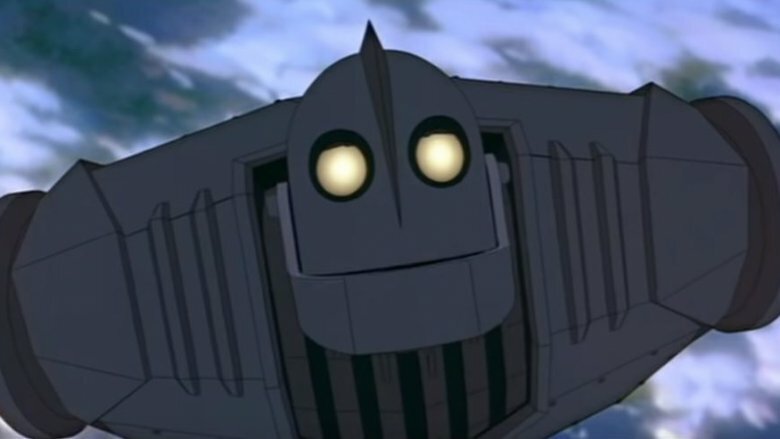 When the Iron Giant is informed that all his friends are about to die in a nuclear wipe-out, the alien robot makes the fateful decision to sacrifice his life to destroy the missile, by flying into the sky and blowing it up in space. In the process, of course, the Giant decides who he is: not a death machine, not a monster, but "Superman." While this moment has since been homaged and replicated many times over the years, it still holds up as a tear-jerker for any new viewers, according to Tor, and the film's influence proves how effective it was in the first place. Usually, when you lose a volleyball, it doesn't inspire the widest range of emotions. Annoyance comes first — because the current volleyball game is over — usually followed by frustration since you have to buy a new one. In the real world, the chances that you've cried over a lost volleyball are quite slim. However, that's because you aren't stranded on a desert island, like Tom Hanks was in Cast Away, and that volleyball wasn't "Wilson," the only friend you had through all those years of isolation. Though few people have struggled with such isolation, it's easy to imagine how an inanimate object could become a friend, and according to the New York Times, studies have shown that assigning human characteristics to inhuman objects out of loneliness is all too human. 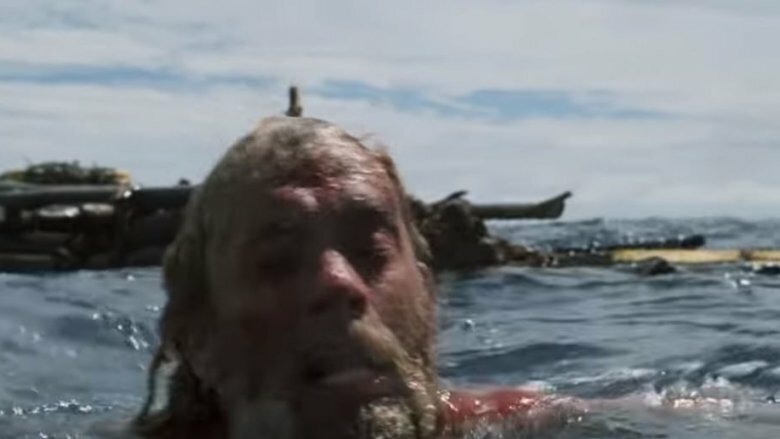 That's why when Hanks finally escapes the island, drifting on his raft through the sea, it's so heartbreaking when he accidentally loses Wilson. The scene also marks the key moment where he begins a traumatic transition back to the "real world," a place where volleyballs aren't allowed to be your friends, even if you draw lovable faces on them. Even now, it's hard to believe that Hugh Jackman's Wolverine is gone. For 16 years, the Aussie actor brought Marvel's adamantium-clawed mutant renegade to life, earning fan adoration and a Guinness World Record (longest career as a live-action Marvel superhero) in the process. Sadly, all good things must come to an end. While everyone expected 2017's Logan to be a dark, sad, brilliant conclusion to the most popular X-Man's story, few could have predicted just how painful it would be to see the world's toughest badass reduced to a bitter, aching old man, poisoned by his own adamantium, with claws that didn't quite pop right anymore. While the Wolverine never finds true happiness or peace, the last scenes of Logan do allow him to find family. In a battle against his animalistic clone, Wolverine gives his life to save a group of innocent mutant children, including his daughter, Laura. 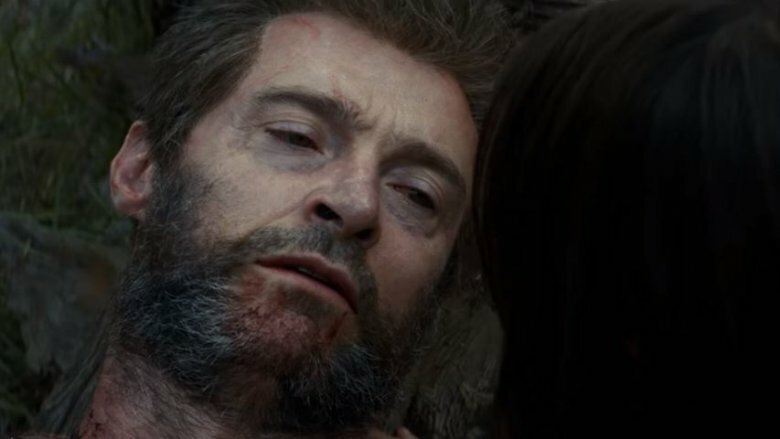 As Logan dies, impaled and covered in blood — a scene expertly foreshadowed in the previous movie — he clutches Laura's hand, smiles, and says, "So, this is what it feels like." Those last words are a reference to his beloved mentor, Charles Xavier … who, as Forbes points out, also dies an unbelievably heartbreaking death in the same film after being stabbed by the aforementioned villainous clone. Most superhero movies leave the audience walking out with victorious smiles, but Logan was definitely the one where everyone left in tears.